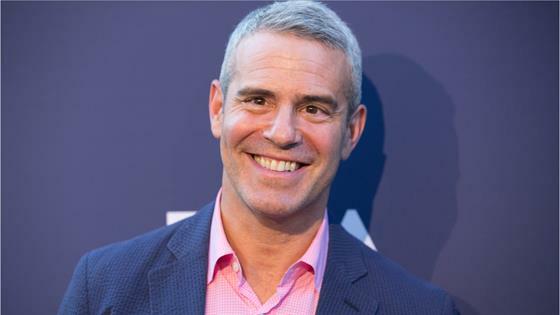 Andy Cohen has revealed the first photos of his son's face. Last week, the Watch What Happens Live host announced the arrival of his baby boy, Benjamin Allen Cohen. "WOW! This is my son, Benjamin Allen Cohen. He is 9 lbs 2 ounces !!" Cohen, who welcomed his son via a surrogate, wrote on Instagram. "20 inches !! Born at 6:35 pm, PT He is named after my grandfather Ben Allen. I'm in love. And speechless. And eternally grateful to an incredible surrogate. And I'm a dad. Wow." While Cohen has shared several pictures with his son on social media, the baby's face had been kept covered up, until now! Cohen and his son appear on the cover of this week's People magazine, showing the father-son duo staring up at the camera. "This is my son!! I grew up reading @People cover to cover, at a time when being gay meant there was no way to have a family. Now I'm honored to be the first gay dad featured on the magazine's cover," Cohen wrote on social media alongside the cover picture. "Thank you @mrjesscagle for sharing my story." Inside the magazine, Cohen opens up about the birth of baby Benjamin. "I was in the delivery room. I had been hoping that he would have a full head of hair, and he really overdelivered," Cohen recalls. "That was the first thing you see, the head of hair coming out. And I was amazed." Cohen, who cut the umbilical cord, went skin-to-skin with his baby boy shortly after his birth. "He was so alert for the first two hours. His eyes were wide open. He didn't cry; he was just calm," Cohen says. "I kind of have no words for it." Explaining the process, Cohen tells People he "worked with an organization that helps you find the egg donor and the surrogate, and you kind of package the whole process." "I worked with an incredible surrogate," Cohen shares. "She was in California. Surrogacy is illegal in so many states, including New York. I don't understand why. It's a voluntary process, obviously. My surrogate just viewed it as, she was giving me the ultimate gift. She gave me life. So I'll be forever indebted to her." Cohen also joined NBC's TODAY via video chat on Wednesday to talk about his son. "I just sit and stare at him. I can't get over his head of hair," Cohen said. "He's adorable, he's so cute." "I was in the delivery room. They cleaned him [Benjamin Cohen] up little bit, I took my shirt off, and they put him right there, and he was so alert," Cohen went on to share. "He wasn't crying. His eyes were open, and we just stared at each other for about two hours, just looking at each other, and he was touching my face….it was just incredible, and I was hoping he was going to have a little hair on his head, and the kid's already over delivering." Cohen also added, "It's not that easy for a single guy to do this on his own. It takes a village, as they say so I really wanted him, and the fact that he's here and he's so perfect and he's in wonderful health and I have great gratitude for my surrogate and all the people who helped me get to this place and I'm just thrilled." Cohen's close friend Kelly Ripa also revealed on Wednesday morning that she met baby Benjamin for the first time yesterday. For more of Cohen's interview, head on over to People. You can also pick up the cover story on newsstands nationwide Friday, Feb. 15.